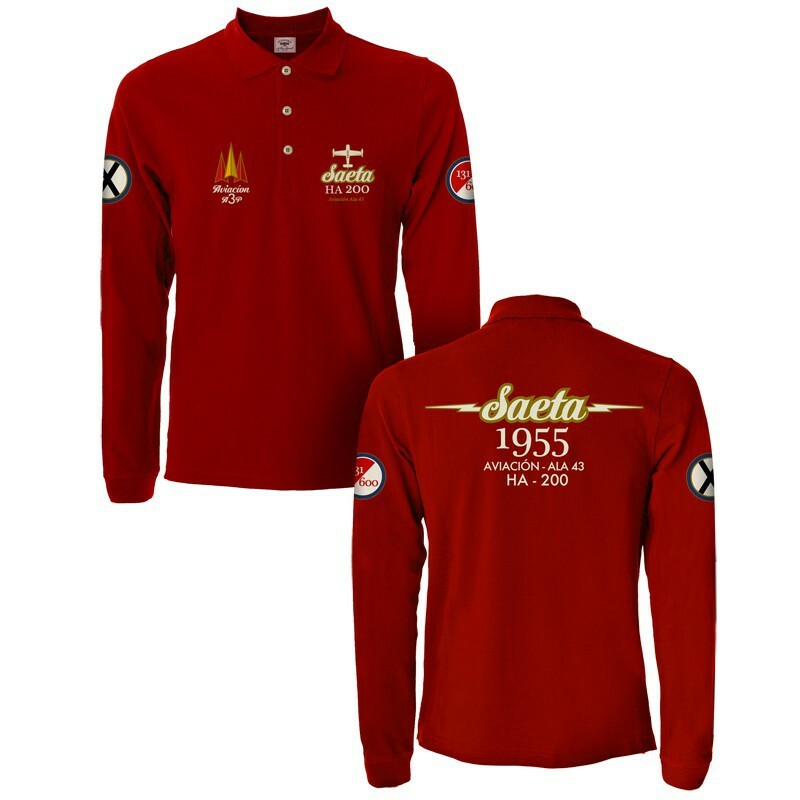 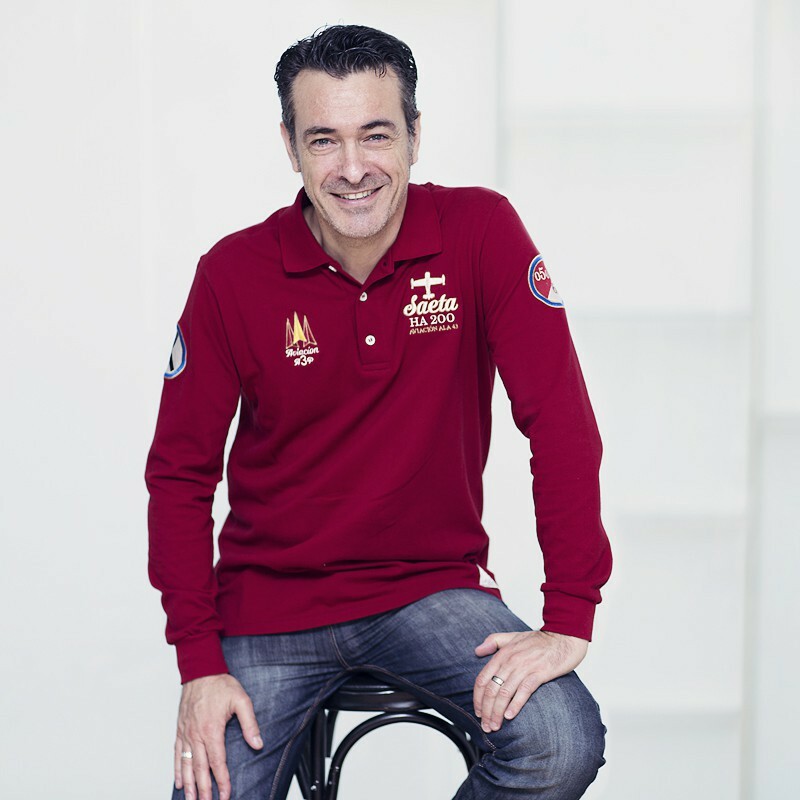 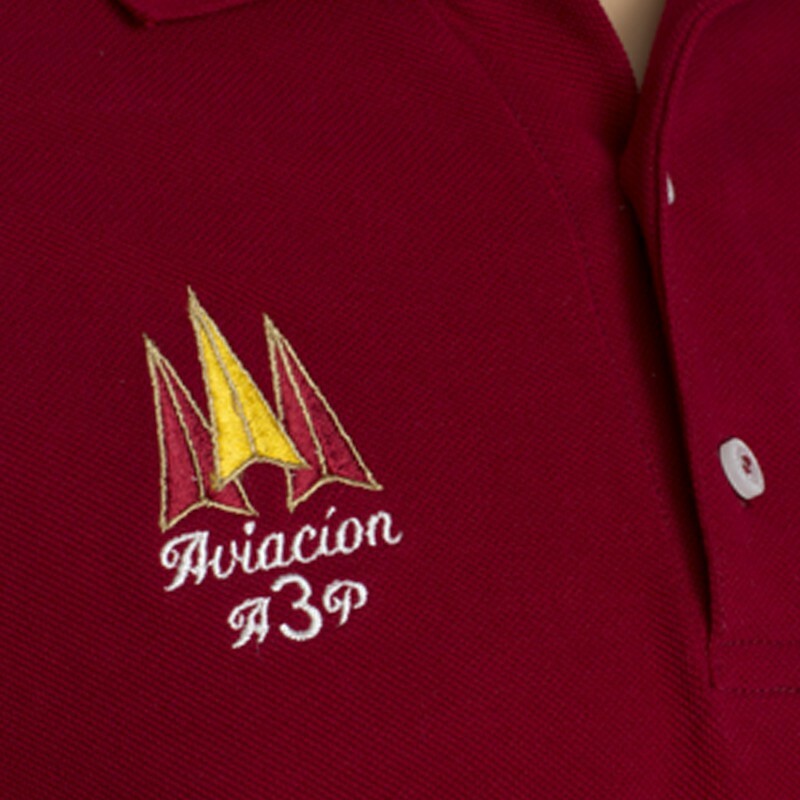 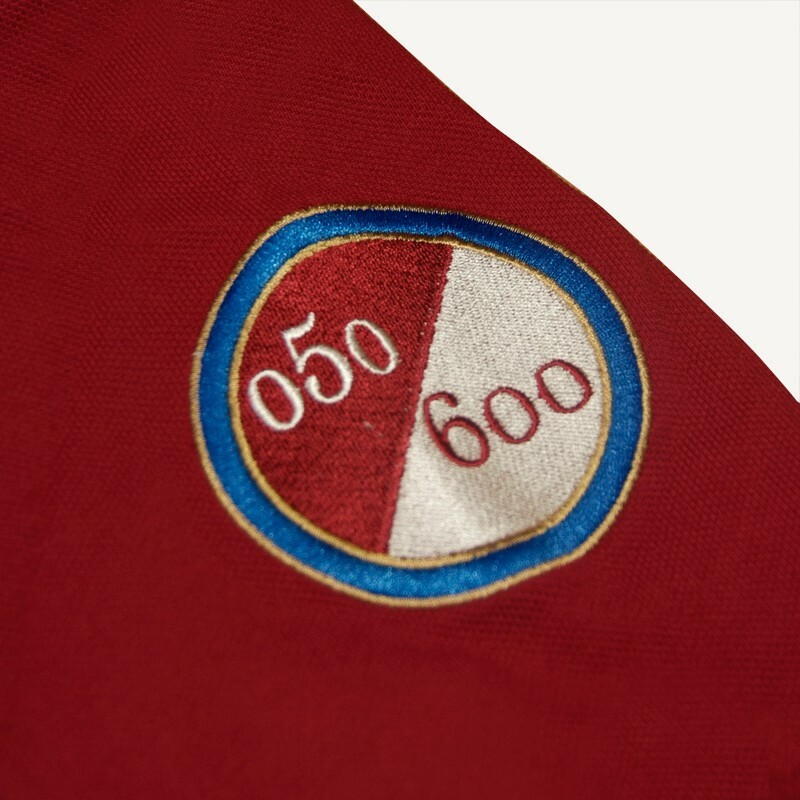 Manufactured with long sleeves in a maroon colour, this fantastic polo shirt is intended to be ideal for the winter months. 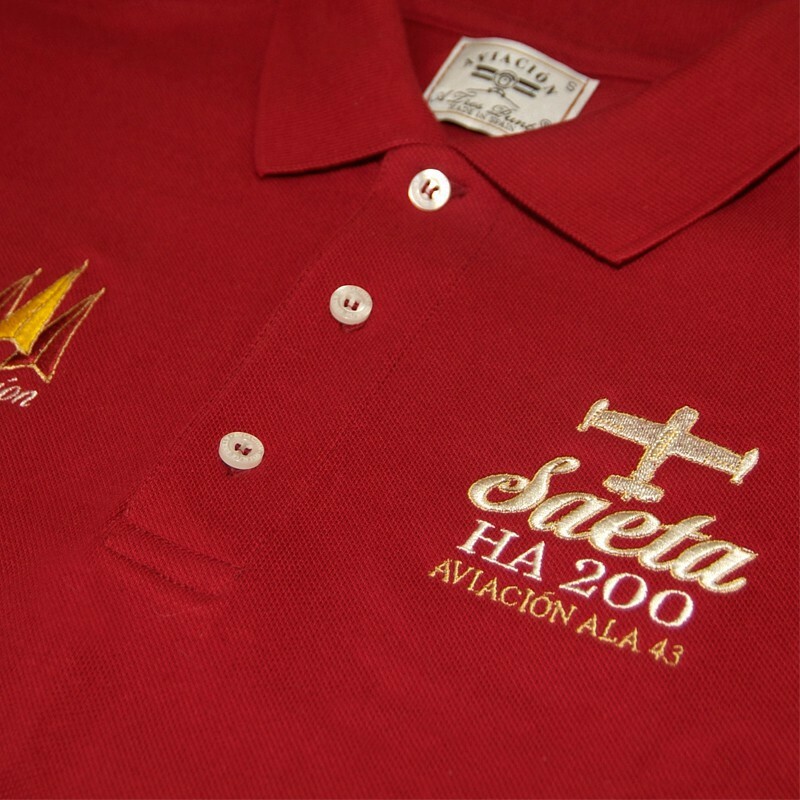 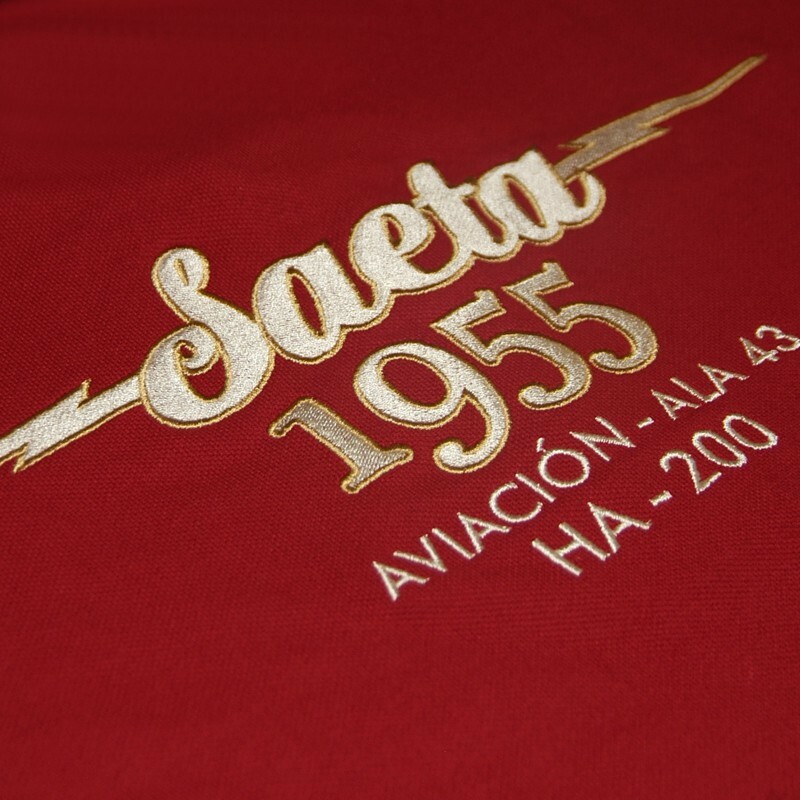 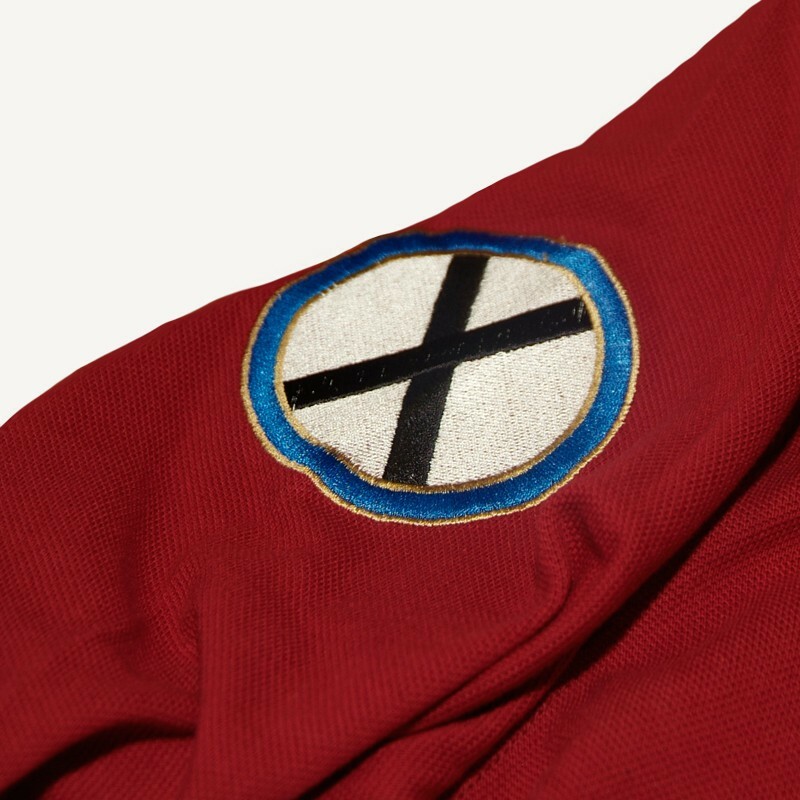 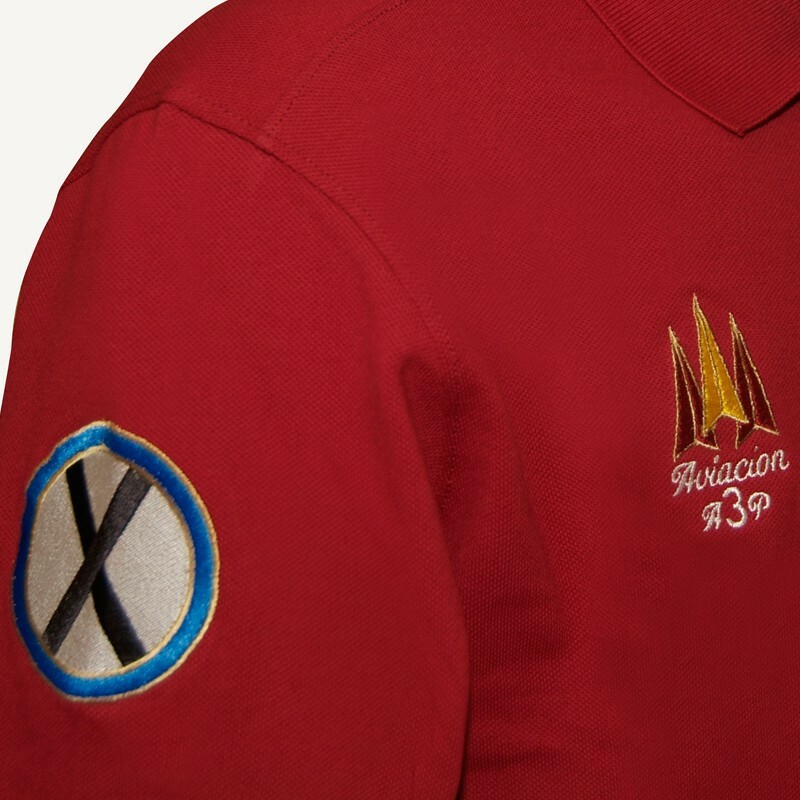 This very “vintage” design incorporates the Cross of Saint Andrew, commonly seen on the fuselage of Air Force planes. 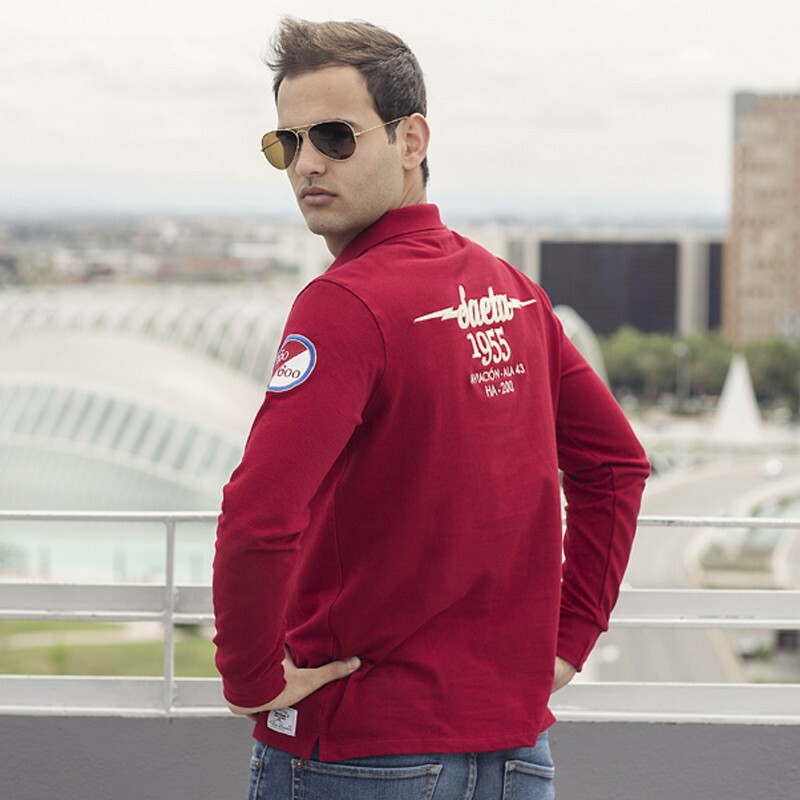 Made from very high-quality 100% cotton, the embroidery drawing is excellently defined.